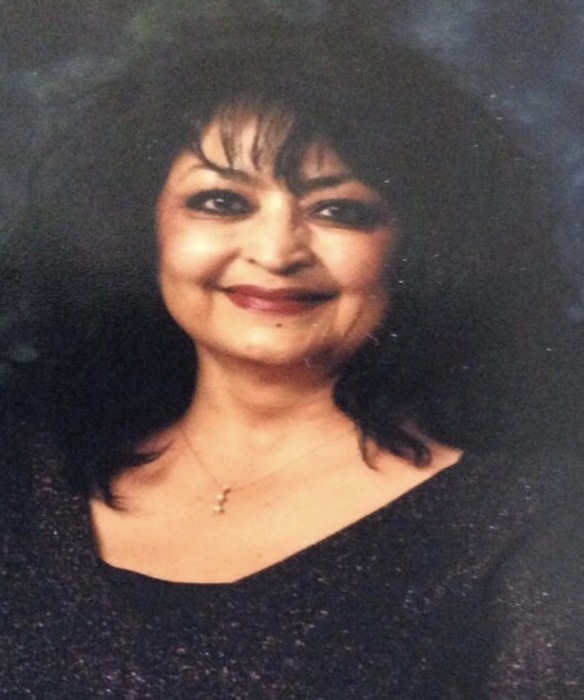 Diana Valerio Gonzales, 65, passed away after a courageous fight with cancer while under the loving care of her family on the 2nd of July 2018. She was born in Taos, New Mexico on the 3 rd of June 1953 to Gilbert Valerio, Augustina Valerio raised by Sam Lucero after Gilbert passed away at a young age. Diana leaves behind her lifelong partner and husband of 47 years, Clarence Gonzales along with four children: Daphne Gonzales, Naomi and her husband Jody Kiefer, Isaac Gonzales and Andrea Gonzales and seven beautiful grandchildren: Lorencia, Morgan, Isabell, Gabriel, Sebastian, Lydia and Cruz. Diana was an active member of St Marguerite’s church that led to teaching catechism for 20 years and later acting as a Rite of Christian Initiating Adults sponsor. A deeply religious and spiritual soul, her involvement in the community of Tooele was a lifelong endeavor that not only allowed her to connect with people but ultimately help family as well as friends made along the way. Not only was she a devoted wife and mother, she was an avid traveler that loved to explore the world and enjoyed culture, food, reading, adventure and generally anything that resulted with the wind in her hair. The epitome of class, beauty and sophistication we will miss not only her steady hand but the love, faith and devotion that came with both good and hard times. The Gonzales Family would like to extend special thanks to Hospice Support (Jackie Warner) and the CNA’s for not only the special care provided to our beloved mother, but also the love and support shown to our family during these difficult times. She was proceeded in death by: Gilbert Valerio (father), Augustina Valerio (mother), Irene Tafoya (sister) and Abner Lucero (brother). Services will be held at the following location: St. Marguerite Catholic Church, located at 15th South 7th Street Tooele, Utah 84074. Rosary July 6th from 3:00 – 5:30. Mass July 7th at 11:00. Interment to follow at Tooele City Cemetery.